Looking for the convenience of a wrap with 10 x the nutrition!? This is the recipe for you! 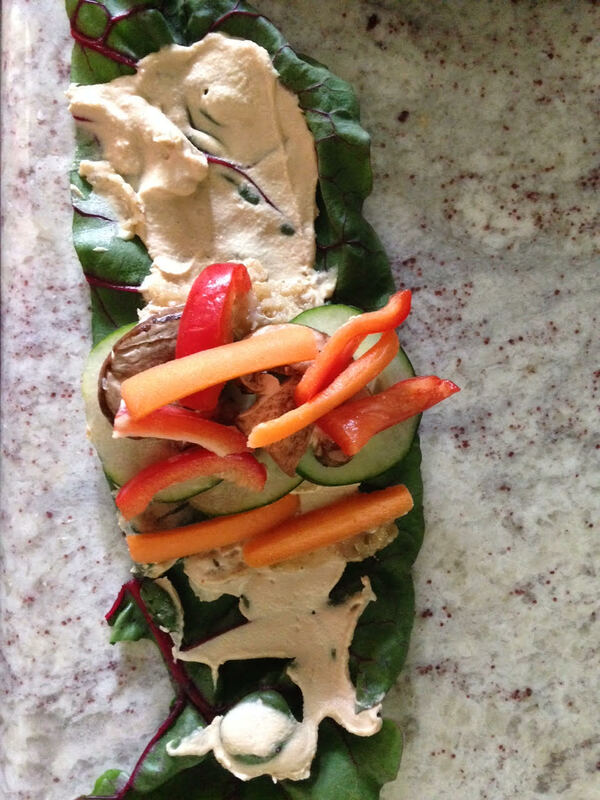 Plenty of menus offer a “healthy wrap” in their Lite Bites or Healthy Options section. Turn any tortilla package over at the grocery store. Look at the ingredients. Now ask yourself, what the heck is THAT doing in my diet? We scratch our heads wondering why so many people are stricken with cancer, dementia and obesity. Yet we continue to pump ourselves and our kids FULL of hazardous ingredients. 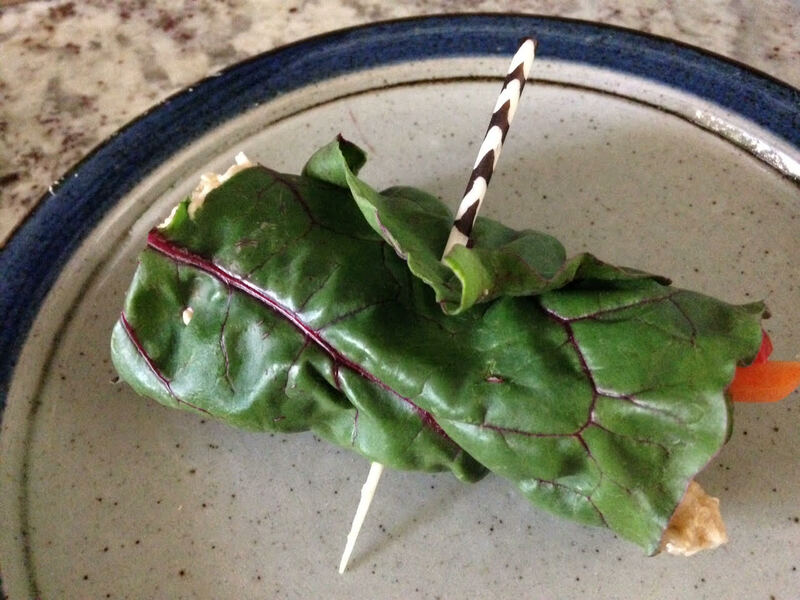 An EASY way to make a wrap super healthy is to use a swiss chard leaf in lieu of a tortilla. Sure it may take a few go rounds for your family to get on board. But every transition seems odd at first. (Think station wagons without car seats, choosing wheat instead of white bread or wearing a helmet while biking and skiing). Soon it becomes your norm! I make several of these (~10) each sunday and place in glass container in the fridge to draw from all week!